Competition can be fierce in the hotel business. With the growing popularity of Airbnb, small and mid-size hotels face new challenges as some curious travelers opt to rent rooms and homes for short stays and vacations. These changes in consumer behavior can play to your advantage by creating consistency for travelers in the hotel industry. Other establishments, Airbnb in particular, range in experiences from wonderful to unpleasant. 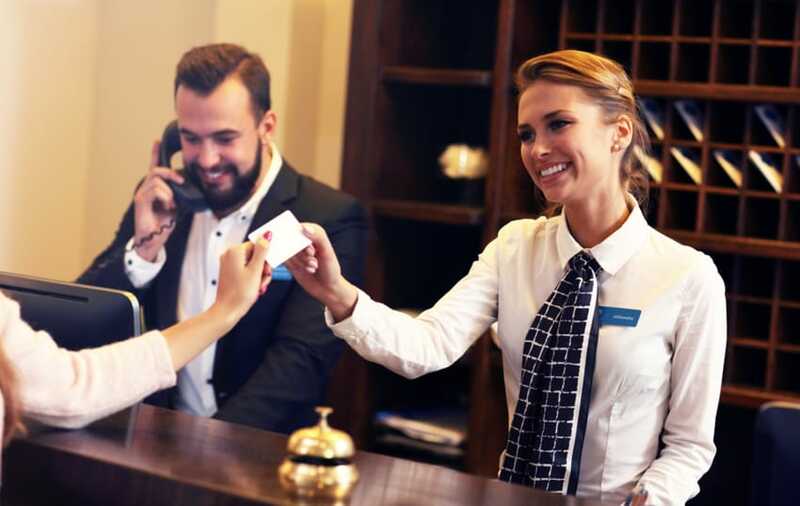 Consistency can play a huge part in earning the business of travelers and vacationers – they know what they will get when they stay at a hotel. Plus, with a few thoughtful details, it’s possible to make your hotel the go-to source for frequent business travelers. Here are some of the best ways to attract business guests to your hotel. One of the few industries that is proven to be resilient against recession and economic failures is the restaurant business. Food is viewed as a necessity rather than an elective option, and we all need it for survival. Home cooked meals are always nice, but in today’s fast-paced life dining out can provide delicious food, a fun experience, and a convenient option for when you are on the go. Although business is good, the restaurant industry is also saturated and there is strong competition. In 2017, there were nearly 200,000quick-service restaurants and more than 30,000 full-service businesses operating within the United States, with total food and drink sales amounting to $766 billion. Margins after expenses can be very slim and every customer, big or small, matters to the success of your business. Finding ways to stand out from the crowd – and be noticed – can make the difference between a half-filled dining room and a full house. What Are the Benefits of Coworking Spaces? Being your own boss is great – you get to avoid the morning commute, choose when and where you want to work, and set your own hours. Nothing could be better than getting to do what you love on your own time while making money, right? Yes and no. It can be extremely challenging, and it is often glorified by those who haven’t experienced it. Working at home or a coffee shop sure sounds like the dream, but it has its own challenges and disadvantages for business owners who are their own bosses. How many times you had trouble finishing a piece of work while sipping your favorite coffee due to noisy customers, a visual distraction from passersby, or unsteady internet connection? Or lacked concentration working from home due to non-stop TV programs and dogs barking all day long? If you are having difficulties working at home, in the coffee shop, or in similar places you’ve tried before, why not consider coworking spaces? Although it’s a shared workplace, it is a healthy atmosphere filled with young professionals and ambitious entrepreneurs just like you. When it comes to landscaping businesses, most people think of hard work, industrial equipment and a company that relies on manual labor. In reality, the business has evolved into a multi-faceted industry complete with specializations ranging from basic yard care to upscale landscape design. On the more elaborate side of design, you could see people embracing all the creativity and ingenuity you’d expect of an artist and an engineer for things like vertical gardens and sustainable urban green living. As landscape designs become more complex in function, software providers are entering the landscaping industry to rise to the challenge of providing state-of-the-art tools that modernize the process from design planning and quoting all the way to billing. Many of the offerings are provided as a monthly service, making your cost for dedicated software a predictable expense, much like a utility. Depending on your needs, there’s a wide variety of business software meant for landscaping businesses including solutions like VizTerra, Pro Landscape, DynaSCAPE, Asset, and many more. Not familiar with these? Here is the breakdown. Building a team of great people requires more than just qualified resumes and experienced workers. You may have competent and knowledgeable employees, but without inspiration, most of them are just working to meet the bare minimum. According to Gallup, 70% of employees are not engaged at work. Imagine 7 out of 10 employees doing close to the bare minimum to get by and waiting for something better to come along – perhaps even actively looking for something better. A team of motivated employees that is inspired to meet goals is not only more productive but also less vulnerable to turnover. By having a common big-picture goal, employers can create a positive synergy that can take your business to the next level. Moreover, employees who feel valued and appreciated are known to create a positive work environment and drive revenue. 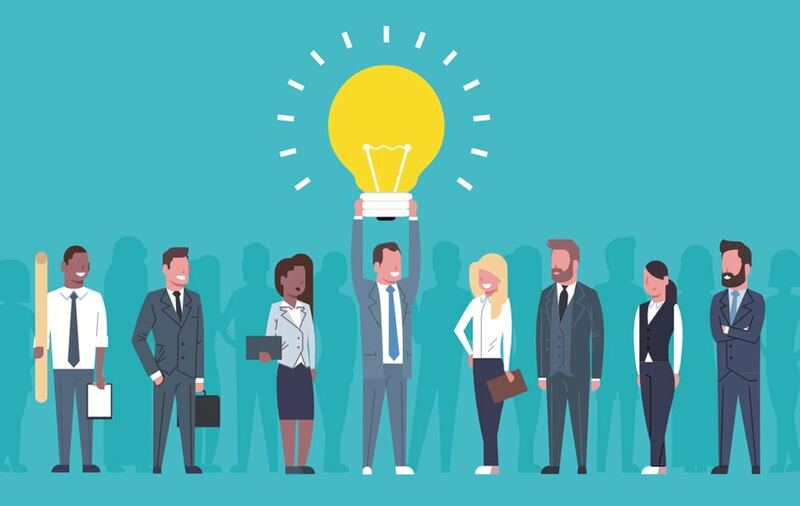 Here are some tips on how to motivate your employees thus allowing them to reach their full potentials for the betterment of everyone – including your business. 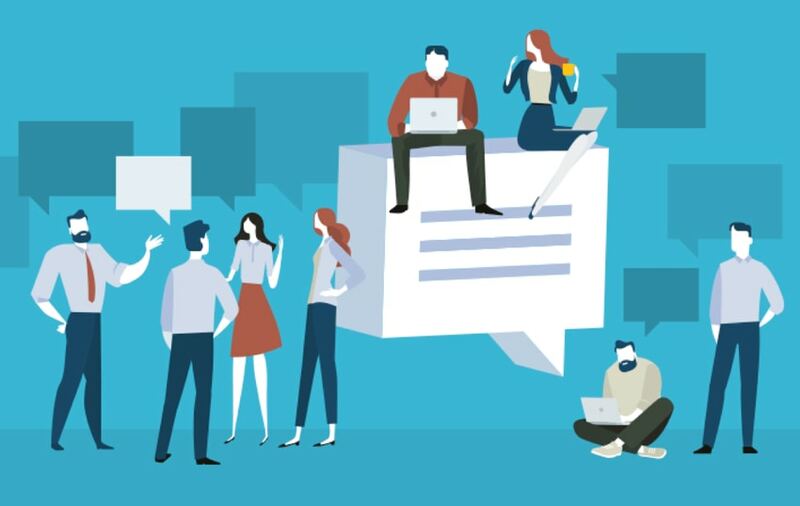 From Facebook and LinkedIn to Twitter and Instagram, there’s a wide variety of social media platforms available to meet the increasing demands of growing users. 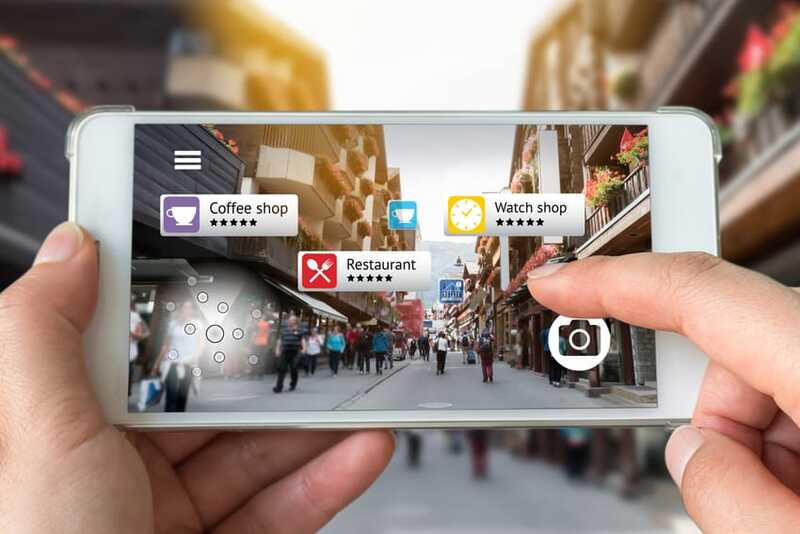 With its versatility and powerful marketing potentials, social media is a great way for small businesses to promote their products and services. However, using social media has its own share of disadvantages. Every day, business owners are facing online bashing, disrespectful posts, fake news, personal assaults, and destructive comments that – if not addressed properly – will do more harm than good. This is the main reason why social media etiquette must be followed at all times. From sharing interesting photos to promoting content, taking into account the proper do’s and don’ts will help ensure a valuable and well-respected business in the world of social networks. Feeling hungry and need a quick lunch? Office too far from restaurants? Want an affordable but equally delicious meal? The days of traditional dining out or bringing a packed lunch are behind us, and the food industry today is providing us a wide variety of options. One area that is especially booming is the food truck business. The key advantage of food trucks for consumers is convenience. 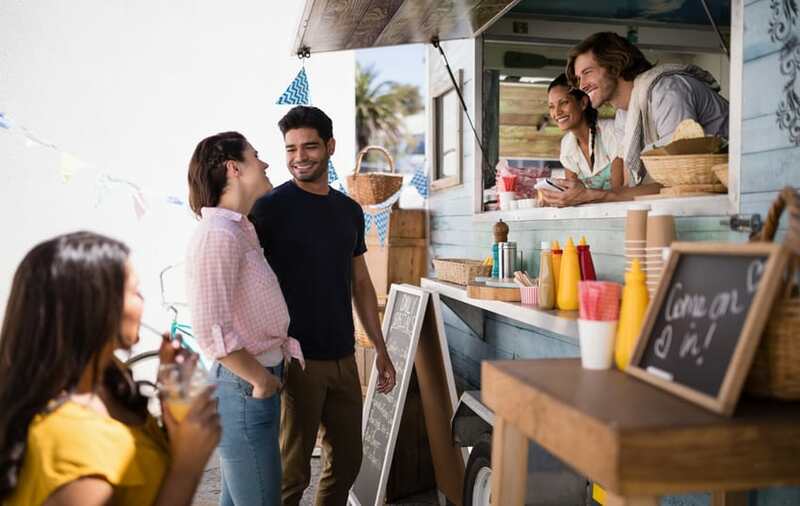 Food trucks will come close to its audiences to win their business, whether that means driving to a busy area of town where businesses are located or driving to a local fair or festival. Although it’s popular and there is a big upside for entrepreneurs and operators who do it right, starting a food truck business is not easy. It is true that it requires low overhead, but the competition is so intense that you need to stand out from the others. Success isn’t always guaranteed but with the right mix of creativity and protection from unforeseen events, a growing and stable mobile food business is not impossible. Here are the key things every food truck operator needs to consider to stand out from the crowd. It’s a fact: startups need to have insurance. They need to protect their property, their employees, their products and services, their founders and executives, and several other parts of their business. And even if founders don’t want to spend money on insurance, it is necessary to buy it to satisfy the minimum requirements of a contract or of the investors. 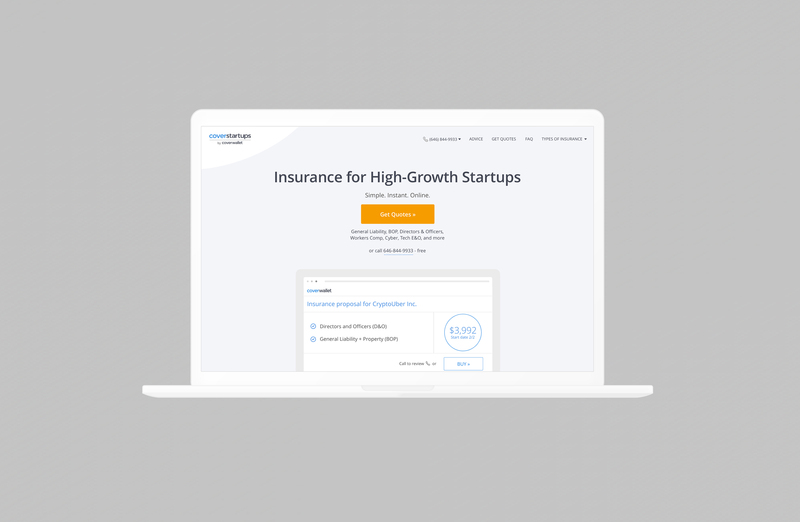 Until now, the process for startups to get insurance has been complex, time-consuming, and frustrating. And all of us at CoverWallet believe it should be simple, fast, and convenient. Today I’m excited to announce a new initiative from CoverWallet called CoverStartups, which provides high-growth companies with a dedicated platform and resources to help them get the insurance coverage they need in a matter of minutes. When you sell products online, your first priority needs to be that consumers can find your products. There are millions of products sold online, and your products need to stand out. While it may sound impossible to be found, the truth is it’s actually easy. Since consumers typically look for products and services with a search engine, being at the top of search engine results is critical. The majority of consumers do research ahead of buying a product or choosing a business to do work with. When your product or services are at the top of search engine results, you’ll have far more success in being found compared to your competitors. The rankings are identified using complex algorithms, and there are practices that you can implement to increase where your page, product, or services show up on a page. 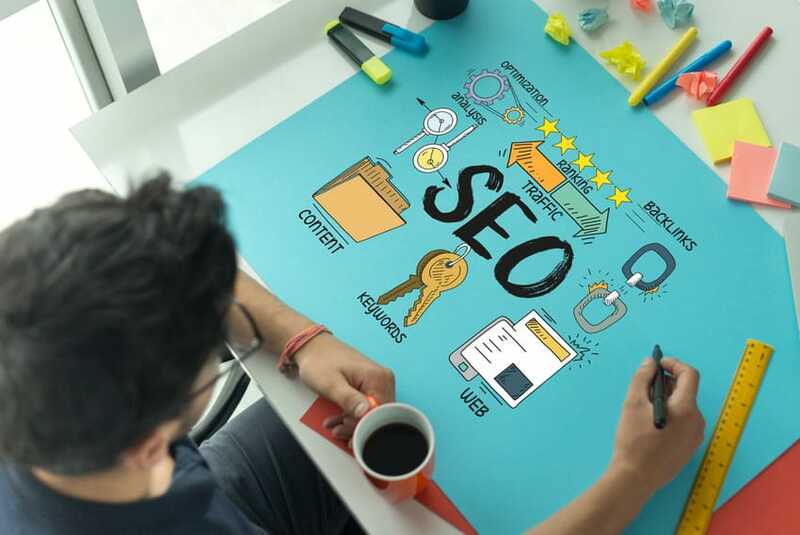 If you’ve started your own business, it’s likely that you’re an expert in something – but that something might not be Search Engine Optimization (SEO). Your expertise in something, or your ‘niche’, is what we’ll focus on in your Search Engine Optimization (SEO) efforts. This easy guide provides the basics you’ll need to understand how search engines work and how to be sure your business attracts visitors searching for the product or service you offer. Search engines are essentially databases with a pretty interface. A search engine sends out a bot called a spider to “crawl” the world wide web every time someone hits enter on a search. Whatever pages the spider finds are saved to the search engine’s index. When you perform a search in Google or Bing, the search engine provides its Search Engine Results Pages (SERPs) which rank the results according to how likely the search engine thinks a page will answer your query. Search Engine Optimization is the art of being found in Google, Bing, or whichever search engines your customers are using. Here are key tips and strategies to help you stand out on search engines. Marketing, advertising, promotion, and publicity – all of them are geared towards acquiring new customers. While they are deemed to be effective, these tactics often require a hefty investment and lengthy processes that not all small business owners are fond of. But did you know that it’s actually easy to sell your products and services to existing customers? And that they spend more money than newly acquired clients? Customer loyalty is a key factor towards building a thriving and growing business. The satisfaction, value, and trust customers give a certain brand make the way for repeat business transactions, leading to a healthy and long-lasting client-owner relationship. But how do you keep them? Are there tips on how to retain customers without having to try too hard? 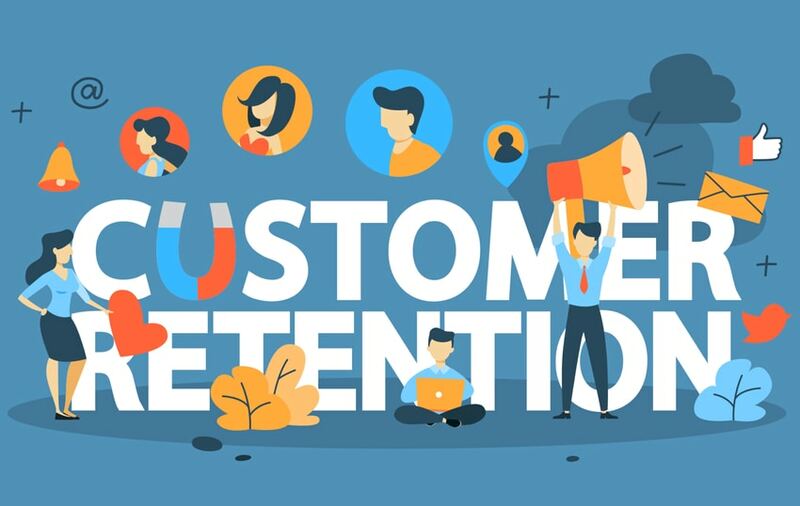 Check out these easy but highly effective customer retention strategies and start building your own cult following for your small business.